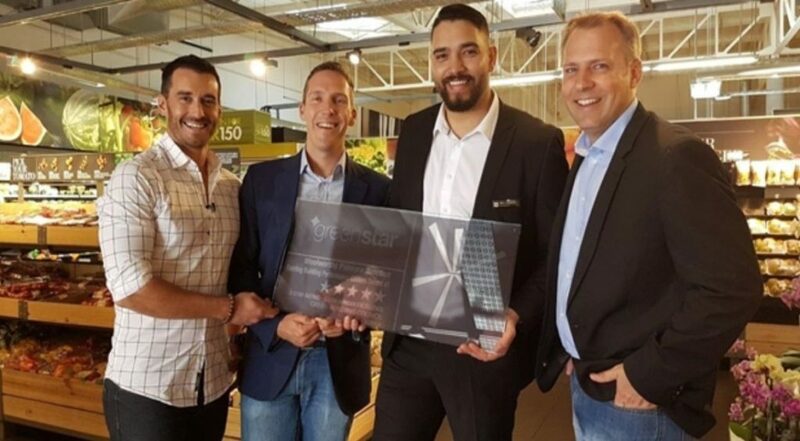 The Green Building Council South Africa (GBCSA), using the Green Star SA – Existing Building Performance Custom Tenant rating tool, has awarded the Woolworths Palmyra store in Claremont, Cape Town a 5-star rating. It is the first retail outlet in South Africa to achieve this rating. The rating tool is a measure of the store’s environmental performance over a period of 12 months in operation, and is valid for three years before it expires. Since opening its doors in 2010, the food market store has always been groundbreaking when it comes to advanced green building features. It set the benchmark within the Woolworths property portfolio, meeting the requirements for a platinum rating of the Woolworths SA Real Estate Division’s own green assessment programme. Ernst & Young (EY) independently audits this internal rating system each year. “GBCSA congratulates Woolworths on embracing green building practices and leading the way in creating more sustainable retail outlets in the country, such as this one, and for having this independently verified through the country’s leading authority on green buildings,” says Manfred Braune, chief technical officer of the GBCSA. The evaluation considered nine impact categories – Management, Indoor Environment Quality, Energy, Transport, Water, Materials, Land-use & Ecology, Emissions and Innovation. The Terramanzi Group prepared the submission to the GBCSA, through its team of Green Star SA Accredited Professionals.